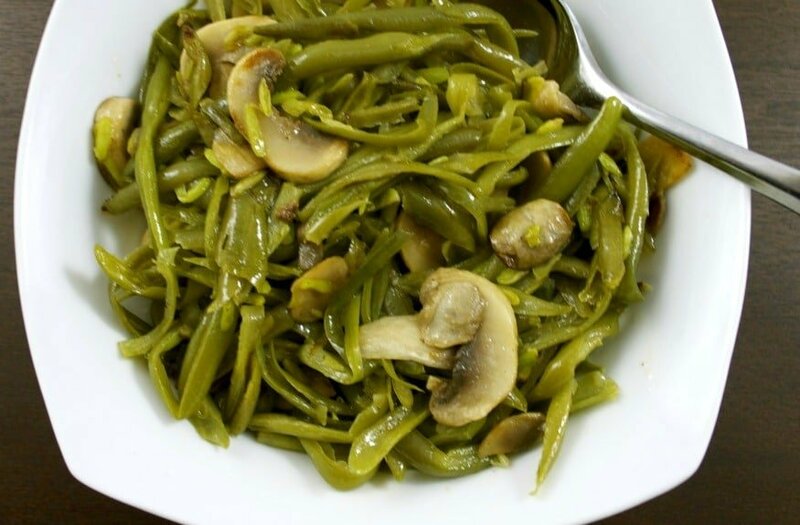 French green beans sautéed with fresh mushrooms, butter and garlic powder is a quick and easy vegetable side dish that tastes great accompanying any meal. 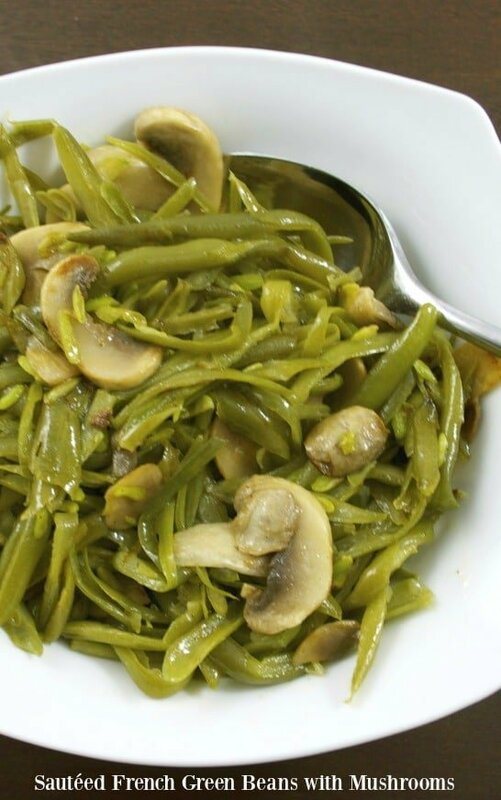 Looking for a quick, nutritious vegetable the kids will love? 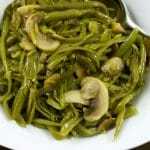 These Sautéed French Green Beans with Mushrooms have been a family favorite for as long as I can remember. You all know I prefer using fresh vegetables to canned, but sometimes frozen vegetables are great to have in a pinch. 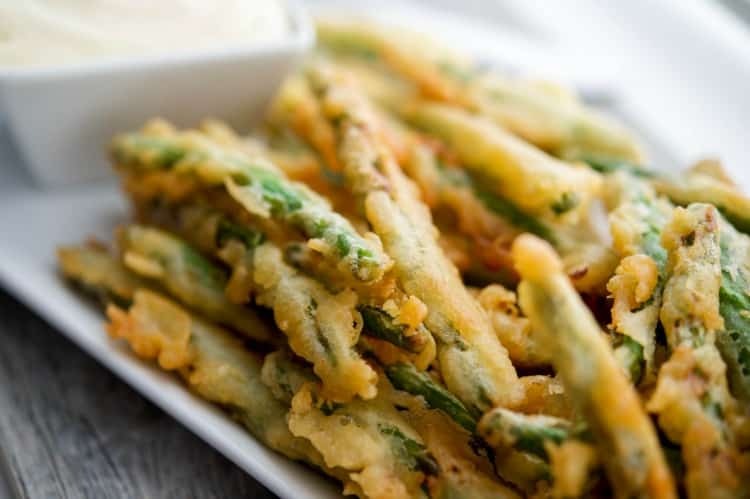 Frozen vegetables are usually frozen immediately after picking, sealing in all of the nutrients so sometimes, they may even be more nutritious than fresh vegetables that have been sitting on the shelves for too long. 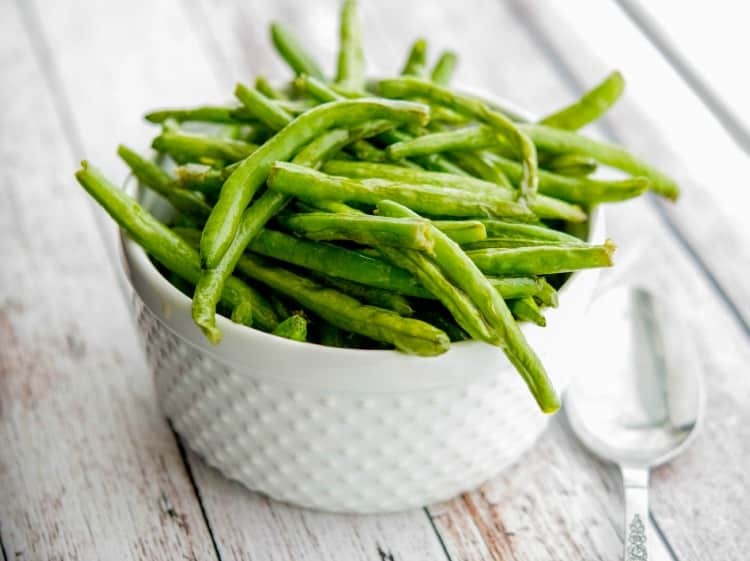 French green beans or haricot verts are thinner than regular green beans and the frozen version takes it a step further by slicing them in half lengthwise so they’re super thin. Start by defrosting the green beans. You can do this in a microwave safe pot with a draining holes (like I have) or you can cook them on top of the stove in a small saucepan with a little water until they have defrosted. Next, melt the butter in a large skillet; then add sliced mushrooms and garlic powder. 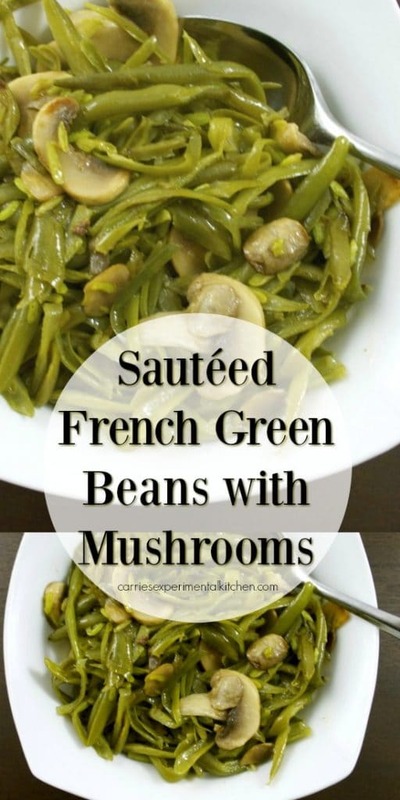 Cook until the mushrooms start to soften, approximately 5-7 minutes; then add the green beans and garlic powder. Mix well and season with salt and pepper. See! These Sautéed French Green Beans with Mushrooms are super simple to make and ready in about 15 minutes! Not to mention they go with just about everything. ~Enjoy! In a large sauté pan, melt the butter then add the mushrooms. Cook until the mushrooms start to soften, approximately 5-7 minutes. 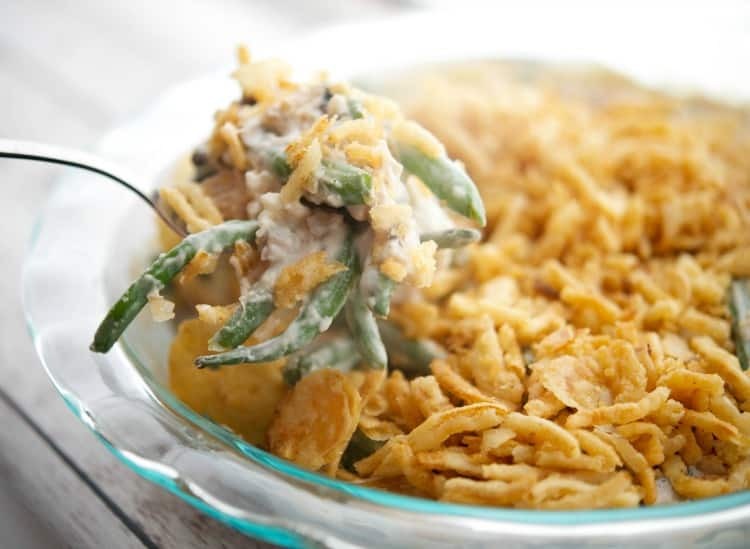 Add the green beans and garlic powder; mix well and season with salt and pepper. LOVE this!! I especially love how easy it is 🙂 Thanks Carrie! Thank you Dave and Lauren. 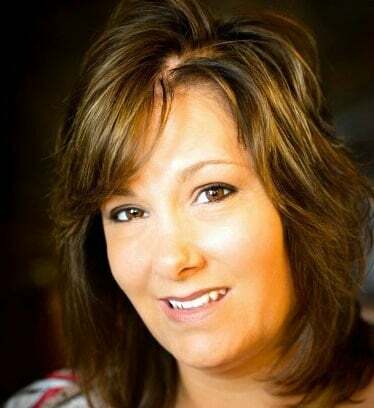 This one is a definite time saver! I’m glad you like it, thanks for stopping by!